Hi, I am playing call of duty MW3, and I am at the stage where I need to.. Trying to jump on helicopter that Makarov is on, I finally was able to..
How do you get to play after you beat 50% of modern warfare 3 on the w..
How do I jump onto Makarov's helicopter??? Okay so I finished 50.3% of the game, and it showed the credits after ..
Our guide contains a full walkthrough of the single player campaign with all 46 Intel Locations marked. There is also an achievement guide, intel lo..
Search for more answers for Call of Duty: Modern Warfare 3 or ask your own question here. 11What Call of Duty Game Is the best over all ? 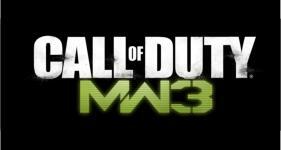 13MW3 - Improvements & disappointments. How do you get to play after you beat 50% of modern w..
How can I download the dlc maps because it gets borin..
How to select strike package item while playing onlin..
My question is...I was playing online. And I so happe..
Get on the roof in the middle of the..
Out of map on outpost!!!! How do you get to survival mode on m..